Some of these calls are specifically directed to the scientific community. For example, a call to determine if a species of plant or animal is considered endangered. It is therefore important for the scientific community to get involved in these processes, as they hold the knowledge and expertise to make valuable comments to these proposed rules. The participation of scientists in these matters is even more relevant at this time when the agenda of the current administration includes the attenuation of existing regulations that protect species and the environment. For example, the recent move of this administration to to loosen the regulations regarding the Endangered Species Act. See proposed changes here. One of the regulations concerning Puerto Rico and its scientific community is the Endangered and Threatened Wildlife and Plants; 12-Month Petition Finding and Threatened Species Status for Eastern Black Rail With a Section 4(d) Rule. 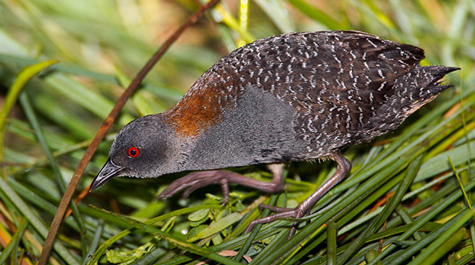 This petition opened by the Fish and Wildlife Service seeks comments to the proposed rule to list the eastern black rail as an endangered species with the necessary conservation measures for this bird. At this time it has been determined that the habitat of this species is not critical but the agency is seeking commentaries on this issue either in favor or against this determination. The deadline to submit commentaries is December 10, 2018. The commentaries can be submitted either electronically or by mail. The detailed instructions to submit commentaries can be found on the link to the petition. I hope this information will encourage the Puerto Rican scientific community to get involved in the rulemaking process. Tell us about your experience! If you are a scientist who has been encouraged by this article to submit a comment on a proposed rule we will be very happy to hear your story.